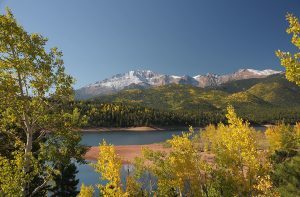 Colorado is a place that has long beckoned people to adventure, from its urban life in downtown Denver to the highest peaks of the Rocky Mountains. Colorado offers Adopting Parents the opportunity to complete their families through adoption and helps Birth Mothers facing an unplanned pregnancy. Here, we offer you our informational guide to help you through your adoption journey. As a woman facing an unplanned pregnancy and starting the adoption process in the state of Colorado, there are some important things for you to know. You must learn the laws, rules and qualifications of placing your baby for adoption. An Adoptive Parent can make an adoption plan anytime during the Birth Mother’s pregnancy or after birth of the child. In the state of Colorado, a Birth Parent can consent to placing the child for adoption after the child is born. In Colorado, a Birth Parent must go through counseling through the county department, or a licensed child adoption agency and present a formal written request to the juvenile court in order to place their child for adoption. The petition must contain the name of both parents, if known, the name of the child, the ages of all parties concerned and the reasons for choosing adoption along with a standardized affidavit of relinquishment that indicates the nature and extent of counseling obtained by the Birth Parents. A copy of the original birth certificate and a statement disclosing any and all payments that were made in correlation with the pregnancy, birth and adoption will be presented in juvenile court as well. If the child is of Native American heritage, this must also be indicated in the petition, along with information about the child’s tribe. There is more than one person who is able to consent to adoption. The individual, a licensed child adoption agency or social services from the county can authorize an adoption. The application that is filled out by either the agency or person must contain written proof of compliance to adoption in the application. In certain situations, if the child is of at least 12 years of age, the child must also give a written authorization that he or she would like to be adopted, as well as meeting with a counselor. There are special cases where consent is not needed if the court deems the parent is unable to care for the child or the parent has not provided care to the child for over 1 year. Within 91 days of the adoption, if the parent is able to show proof or verification that their approval was wrongly obtained or illegally forged by another party the adoption can be revoked . What Rights does the Birth Father have in Colorado Adoptions? A court case can be brought into action by the child, the mother, the presumed father and the state or the Department of Human services at any given time to declare the existence between father and child. Within a five year period of the child’s birth, one of the parties must inform the court that the father is not sustaining a relationship with his child. Before an adoption can take place, there are specific laws, rules and qualifications in Colorado concerning who can adopt or how you can adopt. Laws, rules and qualifications will vary based on the type of adoption you choose to pursue. All Adopting Parents must meet these requirements to adopt in the state of Colorado. Individual states determine how much and what type of expenses are allowed to be paid to a prospective Birth Mother during her adoption process. In Colorado, hopeful adoptive parents pay for attorney fees, medical expenses and financial assistance approved by the court. Physicians and attorneys may charge reasonable fees for professional services. An adoption application is filed with a list of all fees or costs paid in relation with the adoption by a Colorado judge. It’s illegal to offer payment in any form, including money, favors or gifts for the placement of a child. It is mandatory for the adoptive families to pay for the home study of the birth mother unless the expense forbids the adoption, in which case the county will then be in charge of the financial responsibility of the home study. A child that’s adopted inter-country will also need to be confirmed as eligible for adoption by both countries. In Colorado, the adoptive family may request the court to approve the adoption was completed internationally. The court will issue a decree finalizing the adoption of your child if one of the Adoptive Parents is a U.S. citizen and Colorado resident, as well as the original or certified copy of the valid foreign adoption decree and notarized translation is presented in court. Your adopted child who has been a permanent resident or naturalized citizen of the United States will then receive a new birth certificate. The new birth certificate will be processed for the Colorado resident that is adopted from a foreign country. Once the certification of the final adoption law is confirmed, they will find the birthday and place of birth of the adopted child with his or her new legal name, as well as show the country of birth and specify that the documentation is not proof of U.S. citizenship. In Colorado, the use of facilitators is illegal. Only licensed adoption agencies and county departments can facilitate adoption proceedings in the state of Colorado. Licensed agencies may receive money or other items of value in connection to the adoption process of identifying birth parents and children to be adopted by prospective parents. Physicians and lawyers are allowed to charge reasonable fees when using their licensed skills to aid in the process of adopting a child. All adoptive parents in the state of Colorado are required to complete a home study and a post-placement assessment after the adoption has taken place; regardless of the type of adoption you’re pursuing or the adoption professional you’re working with. Both will assess your ability to provide a nurturing and stable home to a child. The home study report will be conducted by the county department of social services, an appointed qualified individual, or a child placing agency authorized by the State Department. The home study report must be finished within 90 days of receiving the background checks. The evaluation will be re-completed annually until an adoption is made. The annual evaluation will include any changes in the home or family, the details of the desired child, and the decision to approve the household to be able to adopt a child. Biannually a doctor must provide a statement regarding the physical conditions of the prospective parents. What are the Post-Placement Requirements for Colorado? The county department placing the child for adoption will implement post placement supervision until the adoption process is complete. A home study will not be required for stepparent adoptions, kinship adoptions, custodial adoptions, and certain exceptions in which the court has made a placement for the child. What are the Requirements to Adopt a Baby from Another State? Any adoption from another state is subject to the plan of the Interstate Compact on the Placement of Children (ICPC). The appraisal completed on a family for the plan of foster care will be accepted for the purpose of adoption. An update will be attached with the adoption form, if necessary. In Colorado, it is a requirement to attain a home study before an adoption placement is made. You can contact one of these home study providers to get started. Colorado is home to some amazing adoption agencies who are ready to help get you started on your journey. Whether it be adopting a child into your family, or finding resources to place your child up for adoption, these professionals are all willing and able to help you throughout this process. Colorado has breath taking landscapes, with raging rivers and winding trails, making it the perfect playground for Adoptive Parents and Birth Parents who are nature lovers. Take a break from the adoption process and venture into the mountains, or enjoy the vibrant city life in downtown Denver, Boulder or Aspen. Whichever way you turn, adventure waits around every corner.